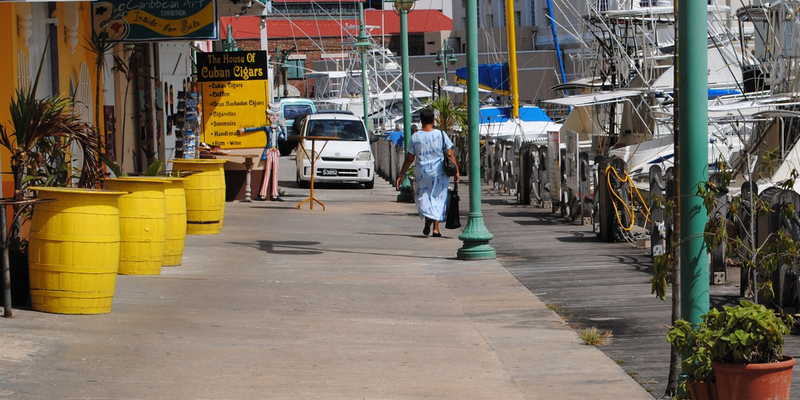 Records held in Barbados are good and the island's continuous ownership by Britain from 1627 to 1966 ensures continuity. By the 1650s sugar had made the island the wealthiest colony in the British Empire. Fortunes were to be made, and a variety of immigrants arrived, from sons of the wealthy to indentured servants. Convicts and political rebels were dispatched from the UK to Barbados, and the need for labour on the island's plantations gave rise to a trans-Atlantic trade in African slaves. Many of the early white settlers and their descendants, among them disenchanted farmers and former servants, moved on to pursue new opportunities in other Caribbean islands and the Americas. This migration continued over the centuries as new opportunities arose. Following full emancipation in 1838, those formerly held in slavery joined the ranks of the emigrants; in the following years thousands headed for Trinidad, British Guiana, Suriname, and the Panama Canal project. Others went to Cuba, Costa Rica, Curaçao, Honduras and Nicaragua; by the 1920s the USA was the most popular destination. Descendants of these people will find Tracing Ancestors in Barbados a comprehensive guide to all sections of society. It is designed to guide the reader through the many types of records and published sources that record the lives of the people of Barbados. List of archives Has it been done before? I have been struggling to trace my family roots in Barbados for a number of years. This year on a visit to the Barbados Archives a very helpful member of staff recommended that I buy this book to help me with my research. It's been brilliant value for money and has made my research far easier. Very user friendly, written in an accessible, but not patronising style. I really cannot recommend this book highly enough. If you buy just one book to help you with your Bajan family research, make sure it's this one! During a visit to Barbados I saw a saw a sign to a plantation with my surname. As I have already traced my UK ancestors to the early 1700's I was interested to find out more. Until I read this book I had made little progress. I now have an ancestor who was a plantation owner and a list of 65 others with my surname obtained from a list of gravestone names online. This book is a treasure of information and has many online addresses and details of records held at various locations in Barbados. Due to hurricans and fires and cholera epidemics, plus poor original records (where they still exist) there are large gaps in the information available. For the really serious researcher a long visit to Barbados to view these records is a must. Having said that - this book is the most comprehensive guide you are likely to find. The best book I have found for genealogical research in Barbados... excellent coverage of sources and methods. This is an excellent practical guide. It fulfils its title. I have learned many things from it. The plantation of the Lake family that I'm researching is right on the map on the front cover! I have found several books and CDs of interest. Two valuable old books have been digitized by Google and one can read the whole book online or buy them from one of 4 linked bookstores. I have bookmarked several pages in Ms. Lane's book with websites I am still working on. The book has given me access to an amazing amount of data. In brief, I cannot recommend it highly enough. Dear Geraldine I visited the National Archives last Friday and bought your book. What a treasure trove! Every page is filled with so much detailed information - I'm sure that it will keep me busy for the foreseeable future. You must be saluted for gathering it all together. Thank you! It's easy to read and is well set out - clearly explaining resources available in Barbados for novice and experienced researchers alike. 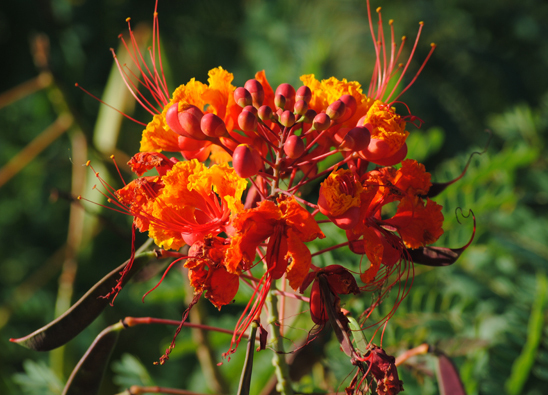 Although its emphasis is on Barbados it is also useful for other Caribbean researchers as the sources and techniques are similar to those on the other islands. "The genealogical ties between Barbados and the other English colonies in America are significant. Unlike many other colonies, Barbados remained under English control until granted independence in 1966. Barbados, however, has not had a guide for genealogical research. Family historians have had to be self-taught. In Tracing Ancestors in Barbados: A Practical Guide, Geraldine Lane has produced a most-needed handbook to the records and sources for tracing the island's families. She blends well both published sources and those available on the Internet. Her coverage of the archives, historical society library and other repositories is excellent, and her bibliography of sources is especially impressive." The world of genealogy is constantly changing. Records on the Internet in particular increase at a great rate, and others become available in print. Tracing Ancestors in Barbados is a snapshot of records available at the time of writing. Slave registers, wills, baptism and marriage records. Two important sets of records have been added to here (a subscription website). The slave register for 1834 which contains names of 100,000 slaves and their owners has been added and earlier years will follow soon, along with records for other islands. The slave registers are described on page 120-123 of Tracing Ancestors in Barbados. In addition Joanne Mcree Sanders' 'Barbados Records' has been added. This includes records of baptism and marriage plus some wills. 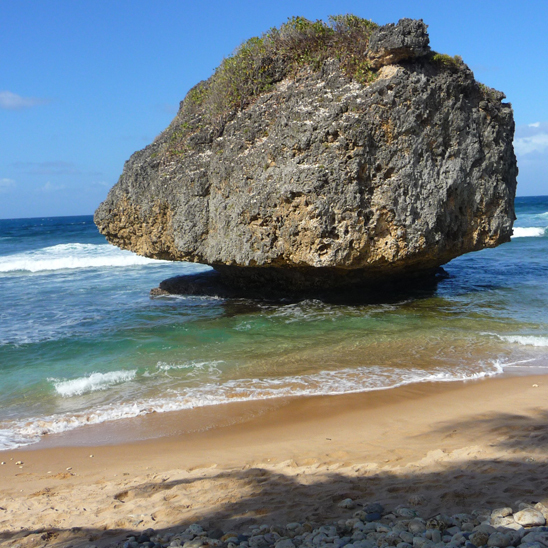 Full descriptions can be found in Tracing Ancestors in Barbados on pages 32 and 60. 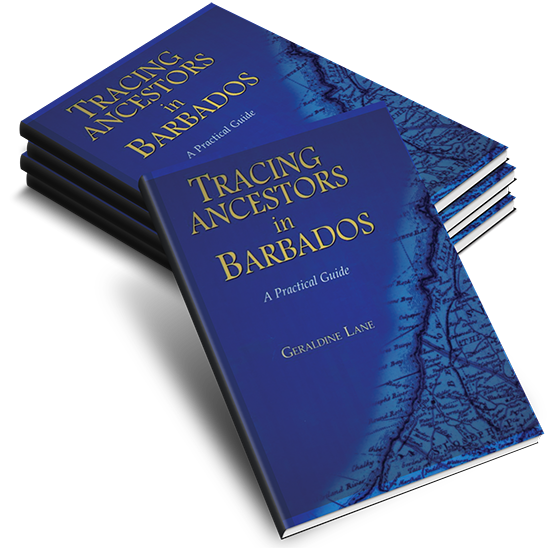 Names & Notes for Genealogical & Family History Research This publication, described on page 53 of Tracing Ancestors in Barbados is now available in a second, expanded edition. See more details here. Readers are referred, on page 103 of Tracing Ancestors in Barbados, to the JBMHS 50:154-165 for a list of the registered voters in 1873. Professor Woodville Marshall subsequently undertook a detailed analysis of this list and his comments can be seen in the JBMHS 51: 187-241. Names, addresses and property details are given. The 1722 list of subscribers to the Mayo map of Barbados, described on page 92 of Tracing Ancestors in Barbados, can now be seen here. This was contributed by members of the Genealogical Computing Group of the NZ Society of Genealogists. Tracing Ancestors in Barbados: A Practical Guide, is aimed at beginners as well as more experienced family history researchers. This is a good place to start your research and you will find plenty of resources to access from a distance - for example Internet and published sources. Once you have taken your research as far as you can you may find you need some help with records held on the island. Feel free to contact the Barbados-based research team at this point, giving an outline of the research needed. After assessment of the work involved, the amount and method of payment will be discussed and agreed before work commences. You can send your request or enquiry to: enquiries@barbadosancestors.com.